Rosman’s research interests focus on learning and decision-making in autonomous systems, in particular studying how learning can be accelerated through abstracting and generalising previously gained knowledge, and also on skill and behaviour learning for robots. Rosman is a CSIR principal researcher who specialises in mobile intelligent autonomous systems. He is also a visiting lecturer at the School of Computer Science and Applied Mathematics at the University of the Witwatersrand, where he leads the Robotics, Autonomous Intelligence and Learning laboratory. 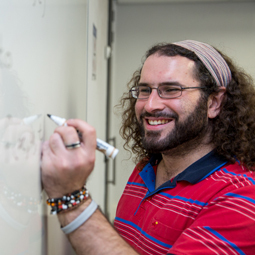 Rosman holds a PhD degree in informatics from the University of Edinburgh.Rosman’s research interests focus primarily on learning and decision-making in autonomous systems, in particular studying how learning can be accelerated through abstracting and generalising knowledge gained from solving previous problems. He also works in the area of skill and behaviour learning for robots. A large part of his research focuses on transferring knowledge and constructing skill hierarchies in reinforcement learning, as well as extending these ideas to scenarios with rich sensory information and partial observability. He is also the chair of the Institute of Electrical and Electronics Engineers, South African joint chapter of Control Systems and Robotics and Automation.